The Waterford Speedbowl is a 3/8-mile oval racetrack located along Route 85 in Waterford, Connecticut. Used primarily for modified stock cars, the track brought more than just automobile racing to southeastern Connecticut during its more than 50 years of continuous operation; it also offered a variety of events significant for their representation of different cultural periods in the state’s history. The Waterford Speedbowl opened on April 15, 1951, as “The New London-Waterford Speed Bowl.” The track’s dirt surface was short lived, however. After several weeks of watching spectators emerge from events covered in dust, its operators temporarily closed the track for a month-long paving process. 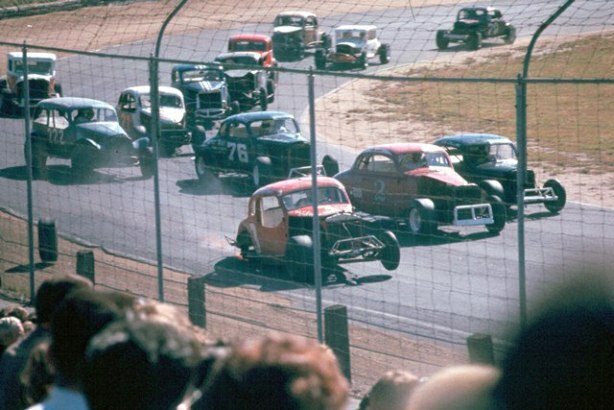 The track reopened as an asphalt course and has hosted modified stock car racing ever since. 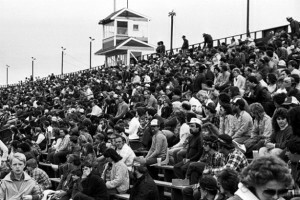 In addition to automobile races, the Speedbowl spent the better part of the next 30 years hosting numerous cultural events. In 1955, a Family Rally sponsored by the Holy Name Union of the Diocese of Norwich used the Speedbowl to welcome families from almost every Roman Catholic parish in the diocese to a day of fun and prayer. 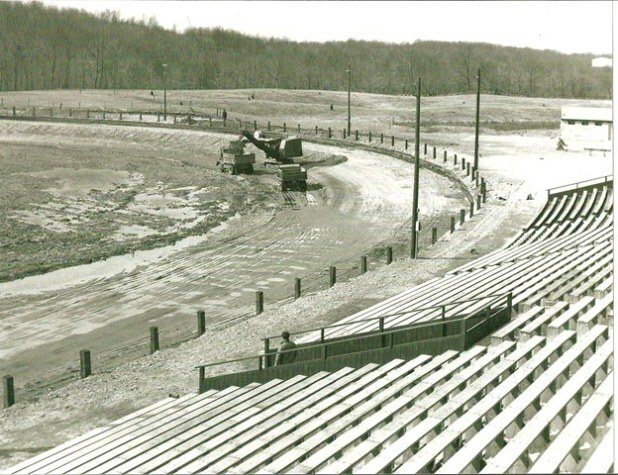 The venue also played host to the 1969 State of Connecticut Bicycle Track-Racing Championships and the 1980 Southern Connecticut State Fair. While a 1975 attempt to bring jai alai to the Speedbowl fell through, motorcyclists converged on the Bowl 5 years later to rally against mandatory helmet laws in Connecticut. Prior to the 1985 season, the Arute family (who owned the Stafford Motor Speedway in Stafford Springs, Connecticut) leased the Speedbowl, bringing with them a number of important changes, including a sanctioning of the track by NASCAR. Three years later, the Korteweg family took over the track’s operation, repaving the Speedbowl and adding safety features such as a new concrete barrier around the track and a new catch fence. In recent years, the Waterford Speedbowl made numerous appearances on television, including one in 2005 on the NESN series Inside Line and a 2009 appearance on the Discovery Channel’s Destroyed in Seconds. It also served as a filming location for the 2011 movie 3 Weeks to Daytona. Today, the Waterford Speedbowl continues to host a variety of racing events, including NASCAR’s Whelen All-American Series on Saturday nights from April through October—continuing the tradition of combining America’s passion for automobiles and sporting culture into entertainment for residents and visitors to southeastern Connecticut. “History : Waterford Speedbowl.” Waterford Speedbowl, 2013. Link.